EXPOSURE: 1 X 30 sec. COMMENTS: This Romanic church from the XI century is located next to an archeological site where Celtiberic ruins from around 500 BC have been found early in the 19 th century. Over 2.500 years of human history can be admired under beautiful dark skies. 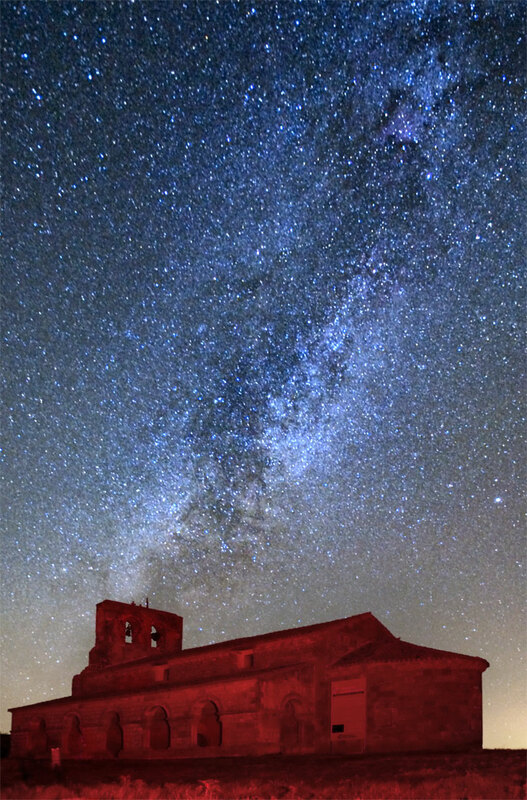 It was lucky that the Milky Way was visible just above the church, creating the perfect framing for this image.